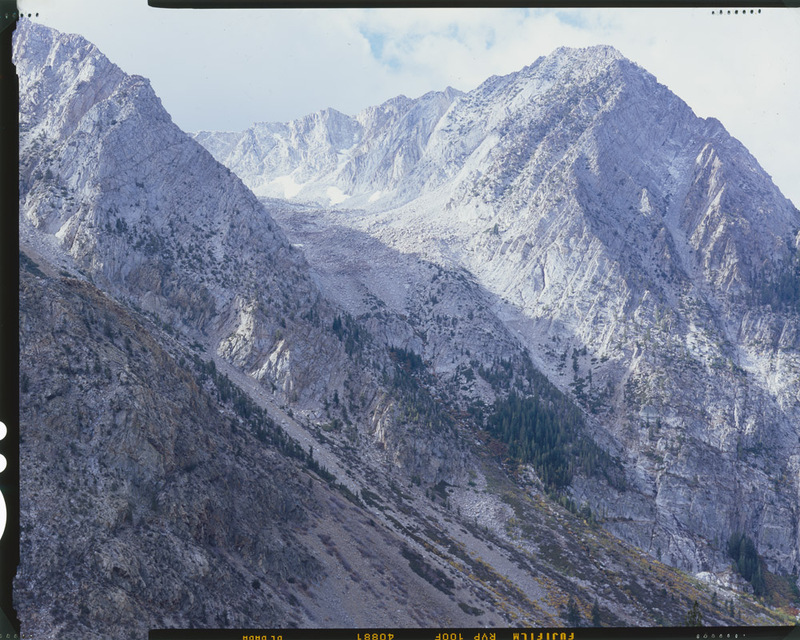 These are both views of the eastern end of the Tioga Pass, on the way in to Yosemite National Park from Lee Vining. If memory serves, these are even before you get to the ranger station at the park entrance. I took a vacation back in I think 2004 to the east side of the California Sierra. 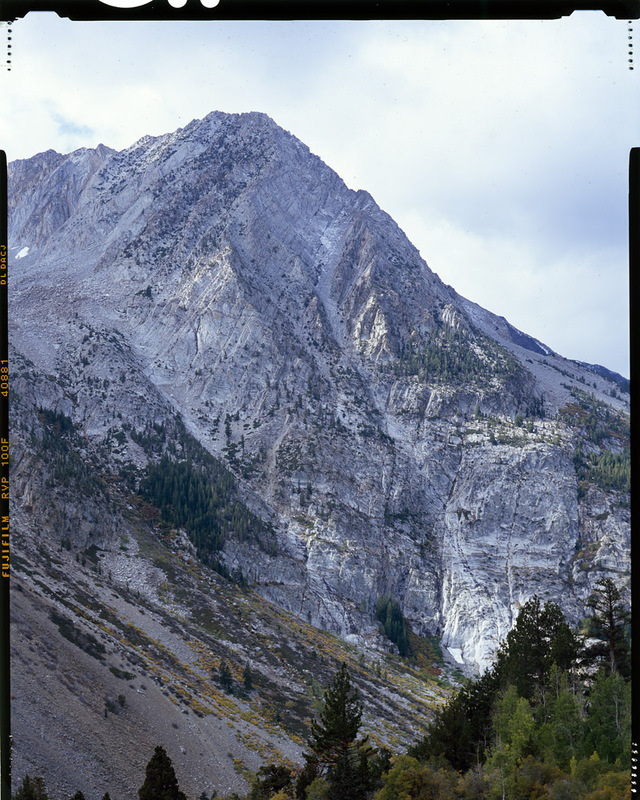 I drove from San Francisco up through gold rush country – Sutter Creek, Volcano, and Sonora to take 108 around the north side of Yosemite through the Sonora Pass to get to Lee Vining, where I eventually stayed for a couple nights to explore the landscape. Photographers, like fishermen, have tales of “the one that got away” – this is mine, “the shot I couldn’t take”. Coming up through the Sonora Pass, I reached the peak of the pass, 9980 feet of elevation, just at sunset. The road that climbs up through the pass becomes a series of hairpin switchbacks as it approaches the apex. Ascending the penultimate stretch, I glanced out the window to see the setting sun painting the mountain faces to the west brilliant oranges and reds, like they were on fire. There was no place to stop, even if I didn’t get out of the car, let alone set up a tripod and squeeze off a frame or two with a 4×5 field camera. So the image has to live in my memory, and hopefully in retelling it, I’ll encourage some of you to get out there and drive that route yourselves, and time your trip so that you climb the pass at sunset and can see it for yourselves. 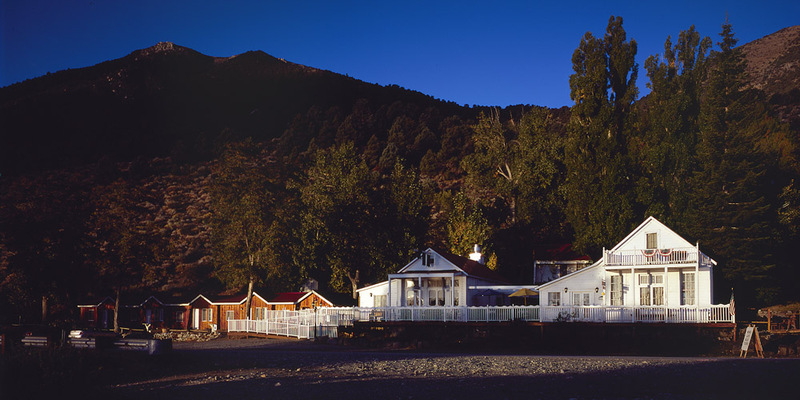 I’ll close with a panorama shot cropped from a 4×5 ‘chrome I shot of the Tioga Inn where I stayed. The two white buildings of the inn are actually salvaged structures in whole or in part from Bodie, the famous ghost town up the road a little ways. The more modern cabins on the left are some of the rooms – there are more cabins on the right, up in the trees, some of which are also made of Bodie salvage materials. I’ll have more to tell of the road trip in future posts.